The biggest difference is our commitment, high integrity and honesty. We perform every inspection for our clients as if they were our only client and this is the most important inspection we will ever perform. We give no consideration to trying to get repeat business form any realtor and always have the best interest of out client in mind every step of the way performing and reporting the inspection. Our goal is to fully inform our clients to the condition of the property they are interested in purchasing without any other consideration. Realize you will not get that with any other inspection company. We inspect over 10,000 items during an inspection. We give an unbiased opinion without being influenced by any outside factors and interests. So we may not be on your realtors list of inspectors they may suggest or recommend. After 20 years of performing inspections, performing over 50,000 inspection, operating a national recognized organization and training over 50 inspectors, We realized that most consumers never know that they have received a lesser inspection and report from another inspection company until they use our company for their next home inspection. Our company has performed thousands of inspections on pier and beam foundation homes, slab foundation homes, and everything in between. We have written courses and taught foundations to other inspectors. The same is for all aspects of home and commercial construction. 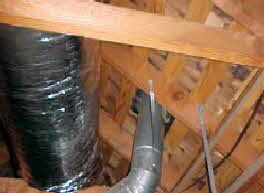 Chances are that if you use a DFW area inspector he or she had some of our training directly or indirectly. Our inspection reports are a big difference from all the other inspection companies that have ever seen. All items needing repairs and and further evaluation to the extent of repair or replacement that be needed are clearly stated with pictures showing details of concerns. Not just a vague check box list of items and not just one picture. 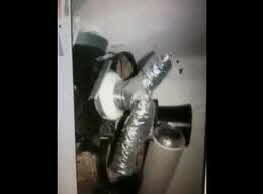 As a home buyer you need some one with your best interest in mind while doing the inspection and investigating problem. We had clients ask us “why did the other inspector not find that?” We always gently explain that it’s not something typically a inspector would catch or know to look for. We also provide a perspective to how important is any issue we discover while we go over the report with you. We always invite you to the inspection, explain the orderly process we are taking in completing the inspection and actively point out items of interest as we find them and are willing to discuss any concerns you may have with you. While going over the finding of the inspection we encourage questions and will offer answers to questions you may not know to ask. Our inspectors have extensive knowledge of minute details of all systems and components of the construction of homes, so never hesitate to ask anything. We are available after the inspection for any reason you may have. We have had our clients call us 10 years later to ask about what roof is best to use for a replacement or for advise on a wide range of household items they are not sure about. That’s never a problem. We don’t settle for anything less than you 100% satisfaction with our services. No short cuts, no compromising, completely focused on you inspection and representing you and your best interest. We stand behind our work and perform our jobs with pride and knowing we have provided you with a objective inspection of the property you are interested in purchasing. We pride ourselves in maintaining a 100% satisfaction with all our past and future clients. 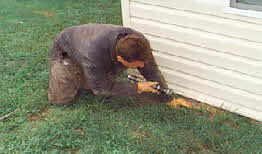 We always consider your inspection is the most important inspection we have ever performed. 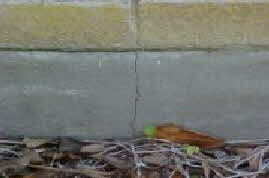 Slab foundations are checked for cracks, sloping, uneveness and defects. We find what other inspections miss. 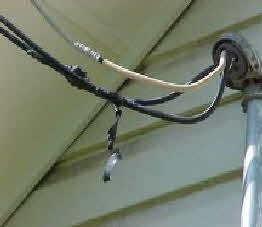 Loose insulation connectors at service cables, connection had been overheated. We prevented a electrical fire and saved our clients 500.00. We make the extra effort and the extra time to be thorough and provide the detailed services you deserve. We saved our clients 800.00 in treatments. Looking for a new home? 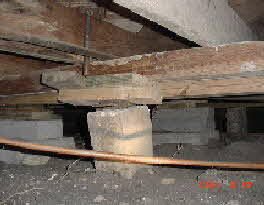 Most people call up a home inspector to check it out. It may look like a nice home in a nice neighborhood, but it could it be hiding big secrets. Growhouse found in DFW area, not disclosed and Realtor and buyer had no idea. 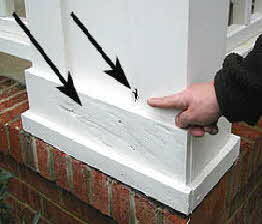 Leaning pier, beam not supported, pier has no base pad, floor is sagging. 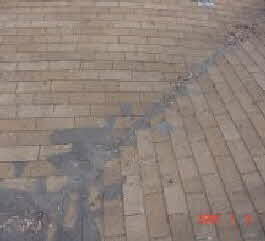 Our clients saved over 3000.00 in foundation repairs. Covered up and painted over Termites and damage to wood. We saved clients 800.00 in treatments. We specialize in inspecting all types of roofing material leaks and imperfections. Improper flashing in valley, repairs over and over again, not visible from ground, not disclosed on seller's disclosure statement. Client opted out of house. Wood shingles under composition shingles only visible from attic space, not disclosed to buyer, client informed and client was able to adjusted price on property by $10,000.00. 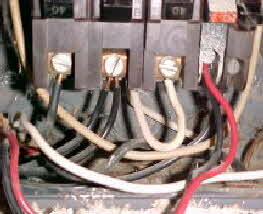 Doubled wired breaker, overloaded circuits possible fires. Also is a Federal Pacific Panel, our client was able to have seller replace panel before closing. Saved our client over 2500.00 just on this item.